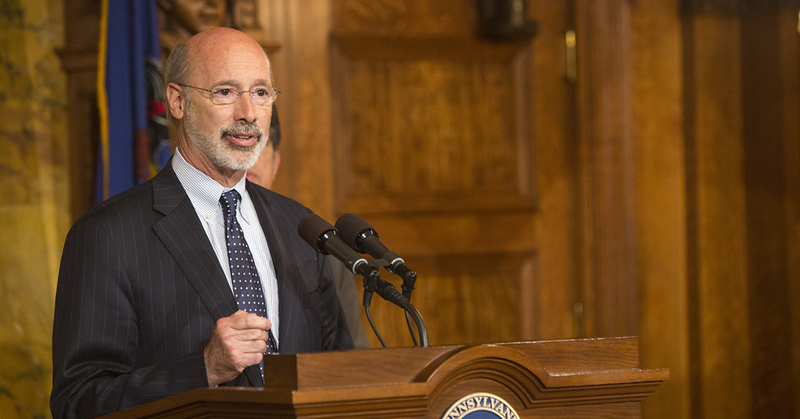 Harrisburg, PA – In February of 2015, Governor Wolf expanded Medicaid to ensure that Pennsylvanians can receive affordable, straightforward, accessible healthcare without unnecessary delays and confusion. Today, Governor Wolf announced that over 700,000 Pennsylvanians have enrolled in HealthChoices, Pennsylvania’s mandatory managed care Medicaid program, since expansion occurred two years ago. U.S. Census data shows that the commonwealth’s uninsured rate has dropped from 10.2 percent in 2010 to 6.4 percent in 2015. As of January 20, 2017, 706,281 Pennsylvanians from across every county are enrolled in Medicaid because of expansion. The commonwealth has seen an increase in providers to serve the additional recipients. There are 4,422 more physicians, 601 more dentists, and 444 more certified registered nurse practitioners in Pennsylvania now compared to prior to when Medicaid expansion took effect in April 2015. Today, Pennsylvania also released a report affirming the first year of Medicaid expansion’s positive impact on Medicaid enrollment, uninsured rates, the commonwealth’s budget, and the overall economy from January 2015 to December 2015. Utilization of health care services was also analyzed from April 2015 to March 2016. To view the Medicaid expansion report from the PA Department of Human Services, click here. Every county in the commonwealth experienced an increase in Medicaid enrollment that ranged from 14 percent to 28 percent. The uninsured rate for nonelderly adults in the commonwealth decreased from 11.7 percent in 2014 to 8.7 percent in 2015. Health care providers received over $1.8 billion dollars in payments for serving newly eligible Medicaid expansion enrollees. Added an estimated 15,500 jobs in Pennsylvania. Increased economic outputs by $2.2 billion. Resulted in an additional estimated $53.4 million in state tax revenue. Uncompensated care is the total amount of health care services provided to patients who are unable to pay, capturing both uncollectible debt and charity care incurred by health care providers. According to data compiled by the Pennsylvania Cost Containment Council, uncompensated care for Pennsylvania’s general acute care hospitals has increased every year from 2001 until 2015. This trend was reversed in 2015, when Governor Wolf expanded Medicaid, with the dollar amount decreasing by $92 million or 8.6 percent. Increased health status and health care service utilization. 45 percent of the expansion population received at least one preventative service. The federal government provided 100 percent health care expenditures for individuals meeting the federal definition of a Medicaid expansion enrollee, which were approximately $2.8 billion in 2015 and represented approximately 11 percent of the total Medicaid expenditures. For more information on Medicaid expansion, visit www.HealthChoicesPA.com.